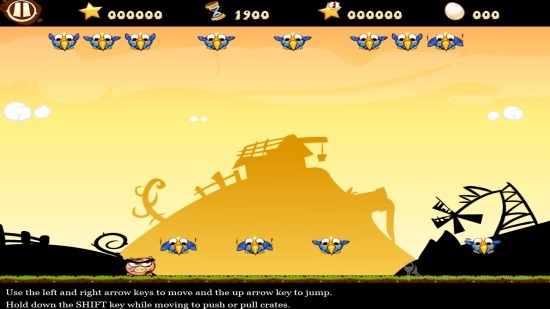 Raging Pigs Free is a Windows 8 Jump Game. You have to play as a raging pig who just moves and jumps. The pig is pissed by the birds who had tried to attack the pigs earlier. Just hop on the birds to ultimately kill them. You also have to keep the pig from getting hoped upon by the birds. This Windows 8 Jump Game has 4 levels with gradually increasing difficulty level. These levels are further having 7 sub levels each. Also in the levels, there are various power ups and things available to slow or kill you like arrows, chillies, Helmets, blocks, bridges, and some other stuff. 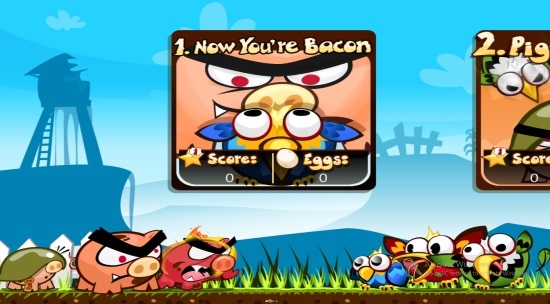 Raging Pigs Free is freely available in the Games category of the Windows Store. Lets’s get you a better about the game in general. As you get to the main screen of this Windows 8 Jump Game, you would be prompted about the four levels that are available here. By default, the first level would be selected, but you have the independence to play any of the 4 levels. 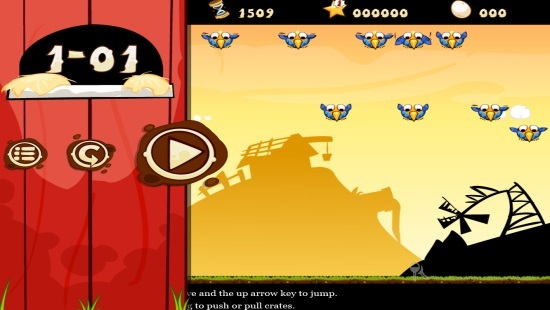 Just drag the screen with your mouse to the left or right side to choose the levels that are present in this Windows 8 Jump Game. Now as you choose any of the levels, you would get to the screen where the available sub-levels for that level would be displayed. In general, 7 sub-levels are available for each of the four levels of this Windows 8 Jump Game. Now, your game will start and the controls will be displayed on the screen. Use the arrow keys to move the pigs right or left and use the upper arrow to jump. You have to make sure that the birds do not jump upon the pig. Otherwise, it will die. Also, there is a timer which will set off as you start playing this Windows 8 Jump Game. If you are not able to kill all of them before it reaches zero, you won’t be able to get to the next level. Also, this Windows 8 Jump Game gives the functionality to pause it anytime. Just use the pause button that is available on the top left corner while you are playing, and the game would be paused, keeping all your score preserved. You can resume later to play this Windows 8 Jump Game. Also Check Trick Shot Bowling, Hill Climb Racing, and Aviator Arcade. Nice Interface: The interface of this Windows 8 Jump Game is quite nice. 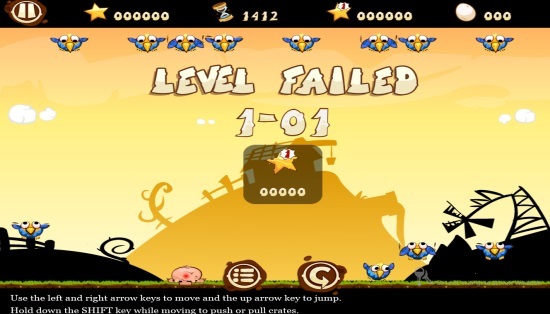 Easy gameplay: The gameplay and controls of Raging Pigs Free are very easy. Ability to pause the game anytime. Availability of 4 levels and 7 sub-levels for each level with increasing difficulty. This game is quite interesting and funny. It has very easy controls and game play. Try it and share your experiences with us via comments. Get Raging Pigs Free here.